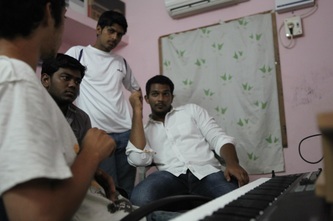 Recalling the time when Ganesh, Director of O4P attained stardom amidst short film fans and circle. Whilst O4P garnering cherishing rave remarks, it even tickled the bones of some who were mostly the supporters of Multilevel Marketing about whom Ganesh cracks the practical joke in and as O4P. Indeed Ganesh raised his opinion about this allegation. Anonymous : "Sorry to say that you people had portrayed a very respected US$170Billion NETWORK MARKETING Industry as a scheme/scam/forgery. I agree that many stupid people had done similar scams, but their are these ethical companies trying hard to make a difference in the society. NM or MLM is simply marketing & selling products for﻿ which you get commision per sale basis, nothing illegal in that." Ganesh's opinion: "Hi. We have potrayed the real life incidents where people really got affected. Researches show in many countries these schemes are illegal as it has lots of drawbacks. We have raised questions like registration of the company, overpricing of product, saturation level of the chain, etc. If the company is legal and can answer these questions, let them not worry about this movie. We clearly mentioned in disclaimer that we are not pointing out any particular organisation." ya true thing to accept the film is good to watch but it has many films' resemblance. The director has done a good job.. they have copied many films' screenplay.. and nothing unique many short films and spoofs have been made on this concept. Try more different style than only comedy in the film.. the film is entertaining .. The movie has style, content, pace, and everything a feature film needs. A peak of the short films. Ganesh kumar mohan is rocking. Much improved than 536 and Ramasamy. MASTER PIECE. Can't take a short film bigger and better than this. 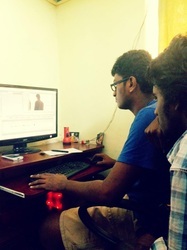 The concept is lesson for greedy people and the making is a lesson for all short film makers. Ganesh kumar mohan - a biggest talent sure to rock in feature film soon. Take my bow. Actors are so casual and mindblowing esp MAKAAN Venkat - chanceless. Movie scored 10/10 in all depts like editing, music, song, camera, locations, costume ... wowwwwwww ... MUST WATCH 10/10. Editorial - O4P has likely scampered to success with tedious hardship by the crew. Word of mouth reach is evident besides marketing and screening. Some popular Tamil actors have started their work which will get their wish of directing a feature film to stardom. Passion never dies. It for sure go on a foray at some part of time. Veteran Comedian Santhanam in an interview expressed his wish to direct Tamil movies in comedy-sentiment subjects. Santhanam has also planned to venture in producing Tamil movies in an unnamed comedy subject with Dr.Srinivasan (popularly known as "Power Star") in the lead role. Simran is now keen to direct besides producing a Tamil movie. Interestingly it would be a remake of a recent Hindi movie. Without divulging more details, Simran says, 'Yes, it’s my longtime wish to direct a film and it’s coming true now. I am busy penning the script these days'. Dhanush is trying his hands at direction. The Bollywood buzz is that Dhanush was in Mumbai recently where he narrated a one-line story that he has written, to a top actor who has shown interest to be directed by the Superstar's son-in-law and a National Award winning actor. Guess who is assisting Gautham Vasudev Menon on the sets of ‘Neethane En Ponvasantham’, the director’s fist trilingual. It’s Sameera Reddy, the heroine of his earlier two ventures – ‘Vaaranam Aayiram’ and ‘Nadunisi Naaygal’. 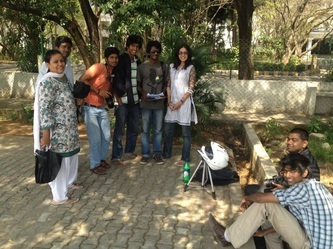 “Deeply interested at learning cinema, Sameera is seen on the sets of Neethane En Ponvasantham assisting Gautham, whenever she gets free time. She is slowly but sharply learning the nuances of film making from the ace director,” sources say. Vishal Krishna has opened up on his long-time wish. The actor, who started his career as assistant director before venturing into acting, has said that he is willing to don a director's cap and he wants to direct Vijay in his directorial debut film. The Sathyam star says that he wishes to direct Ilayathalapathy Vijay and has already written a script keeping his image in mind. Soon he is planning to approach the Kaavalan star and hopes that he will give a nod for the project. It may be recalled that Vishal worked as an assistant director in Arjun's some of the films like Vedham andEzhumalai before making his debut as an actor in Chellamae in 2002. Similarly Jayam Ravi wishes to get into direction. 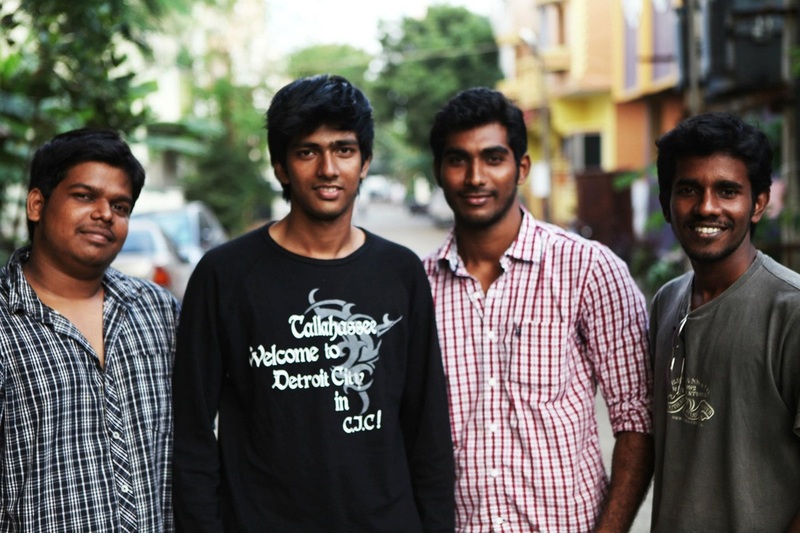 It is notable that his brother Jayam Raja is a popular commercial film maker. Vijay Adiraj has successfully released his directorial film 'Puthagam'. Prakash Raj has come successful with 'Dhoni'. Even more actors have lounging to direct a feature film. Latent talents will get revealed slowly !
" 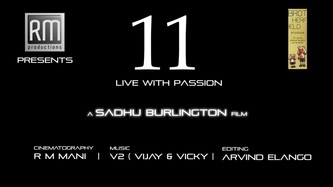 First of it's kind, audio launch for a short film ! " 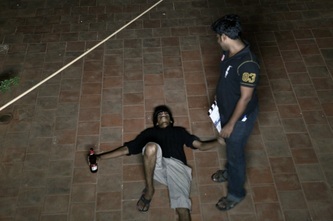 Krishna Ganth is an arriviste who was no apprehensive rather confident and elated about his work. 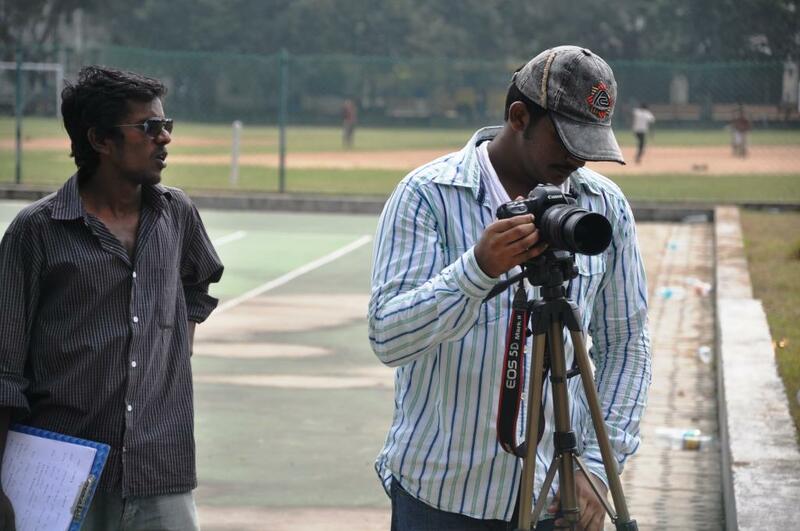 Sliding away from the tenure as a television editor, KG glues up with film making to set rise his dream into reality. He affirms "Hi Pooja I am Krishnan" to be the most expensive ever made short film. total cost of making mounts to 4 lakhs. Speaks are on to tie Junglee company for music distribution. Younger brother of 'OK OK' Director Rajesh worked as an assistant to KG. While associate cameraman of Mangatha film, Nizar is the cinematographer. Krishna Ganth is resolute at his doings and has built strain for his artists during the make. KG who credits Kutti Padmini for the initial enrollment, came the way working as an editor for TV programmes like Asathapovathu Yaru, Sangeetha Maga Utham, Kadhalika Neramillai and more. KG's affinity for films dipped him into this stream.
" Cinema on the hands of engineers"
Asking about this aphorism by him, he said that he could find Viscom students (some) losing interest on film making and tend to enjoy life rather taking it seriously like engineers who are passionate about films.
" .. feel like dying. " KG unveils the reason for the drag in releasing this short film. "It's for perfection", he says. "30,000 was my budget but course of attaining magnum opus mounted the cost and time", he added. KG shares the worse event when his friend had to sell his bike to cop up with expense. Arguments and fights were common. Unable to tolerate, Michael(hero) once plead to leave him when KG banked upon for repeat takes. 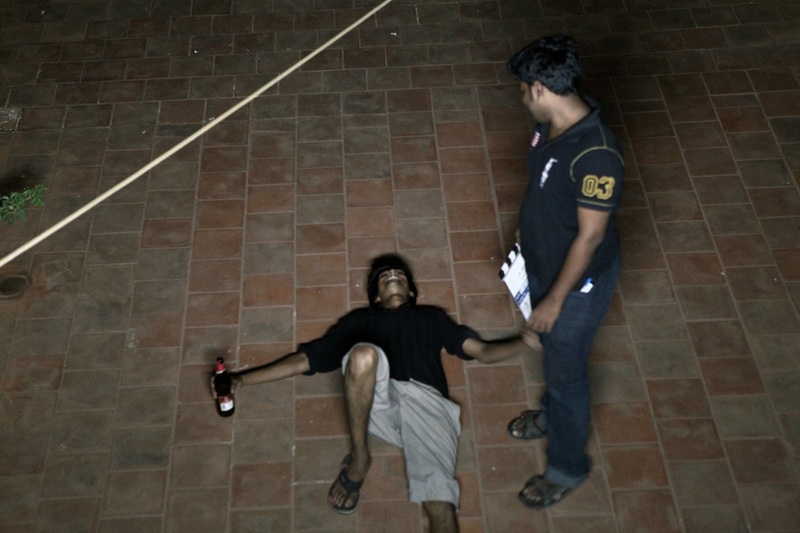 He said bringing hero, heroine and cameraman together and shooting made him feel like dying. Hardship ! "Hi Pooja I am Krishnan" to hit high is certain. The crew's endeavor can pay off. Wishing meticulous young Krishna Ganth for the success ! Notable actress whose recent status update* on Facebook is claimed to be against people of Chennai. A photo featuring her update and it's comments was released on Facebook which went viral and garnered an opposition. Some say that it would be a fake snapshot for defamation. While many expressed their regret for the contempt of the actress on people of Chennai. Few notable celebrities expressed their regret. 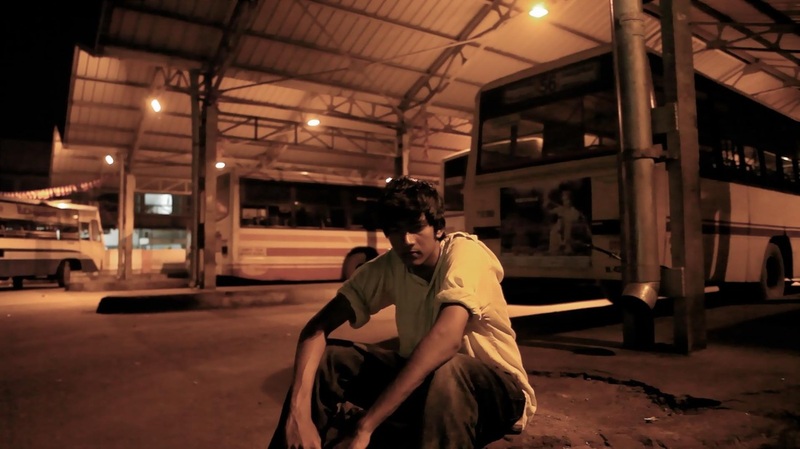 Class 12 non-detail story "Last leaf" turns into a short film ..
Vyshnav N.S, a class 11 student from Ernakulam (Kerala) has rolled his English non-detail story 'Last leaf' into a short film titled "The Dreams of Lost Spring". He was awarded for this short at a competition held on Chinmaya Vidhayala Vaduthala. He said that he is passionate to make short movies. 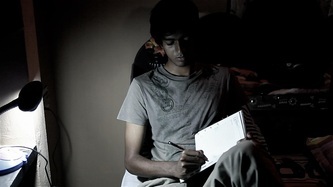 Vyshnav is a young short film director, editor, artist and VFX designer. Ajith anthem 'Thala puranam' gearing for release..
Surya, a group actor in tamil cinema is on spree for creating an anthem of 3 songs as a tribute to tamil actor Ajith (Fondly called as "Thala"). A open call is leived upon public for writing lyrics for one song. A contest is likely to be conducted for the same. The selected would bag a chance to roll his lyrics as a song for release. The official internet partner is CDTV. Interested can leave a mail to krizsurya@yahoo.co.in. 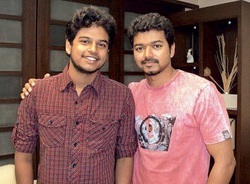 Similarly Engeyum eppothum fame actor Vatsan and his team have done an anthem to actor Vijay (fondly called 'Thalapathy') The video has catered likes among Vijay fans and Vatsan said that his joy knew no bounds, when Ilayathalapathy himself called the team and appreciated their work. 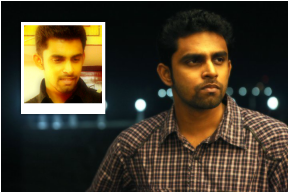 Balaji Mohan - Maker of popular poignant tamil short films ! Balaji Mohan, the maker of evocative tamil short films like Mittaai veedu, Addi tail, etc has set the right on his every step. His recent ebullient feature film venture "Kadhalil sodhapuvadu yeppadi" starred by Amala Paul and Siddharth has catered laurels for the poignant make. Interesting to know that it is adapted from his earlier short film. Evidently he was never empty handed which is one reason for his frisky propulsion in his metier field of short film making . 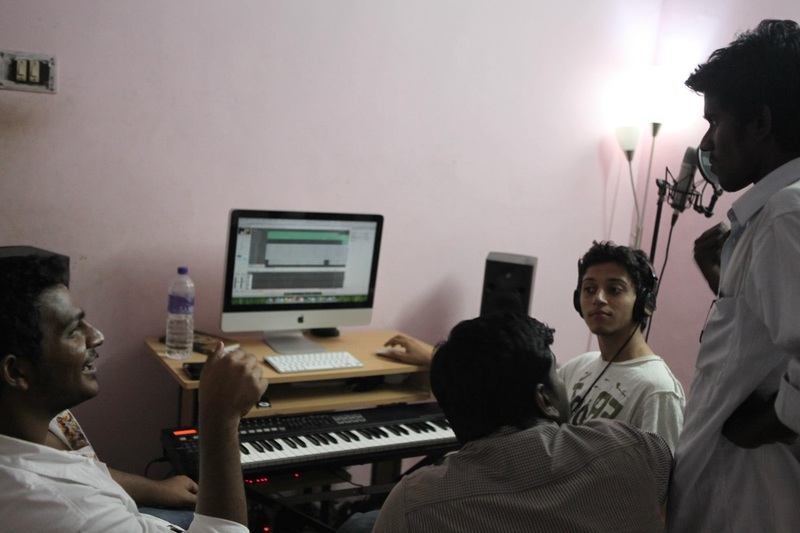 Balaji Mohan, who says he was a good student “by mistake”, dropped out of an engineering course to pursue his dream. “I think the biggest mistake my parents made was to get me a handycam,” he laughs, adding, “I sent my first film, ‘Velicham' (in which I acted), to some festivals and won. From then on, things fell in place.” His few short films tend to pose narrations by the main characters mostly explaining the psychological facts about human relations or behaviors thus Balaji has weaved his signature style of short film making. 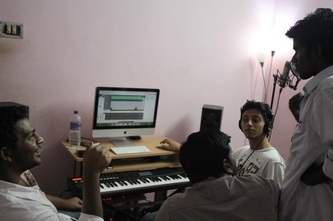 Music composer Thaman was noted to appreciate Balaji for the first time following which he aided Balaji in composing music score for his short film 'Mittaai Vidu'. Boom microphones were mostly used in his short films enabling to reproduce the apt intonations, ambient sounds in a correct composition. Invading elements in his projects can be the natural feel, screenplay, crisp and cute script. Balaji carved "Kadhalil sodhapuvadu yeppadi" short film with an intend to drive it as a feature film later. 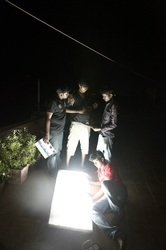 Cinematographer Nirav Shah had laid the step for it. Proud that Siddharth and Amala Paul had already sighted this short which made them to accept for the feature film with no second thought. A 'pakka' pre-production enabled Balaji to drive out the tension on set. With a firm confidence, he wasn't nervous when the film was about to be released. 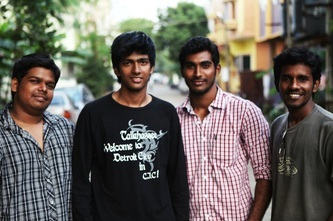 Balaji assured that his film could entertain people of all ages and added that they could relate it with their life. It is perspicuous. It is irrefutable that fervent talents like Balaji are scarce in tamil cinema and they are sometimes denied a chance. On a positive note, lets hope for a better tomorrow which showers opportunities for latent talents. 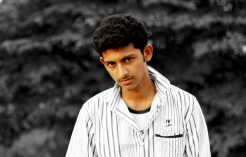 Our hearty wishes to Balaji for his future endeavors ! Popular VJ Anjana sets into short films ! 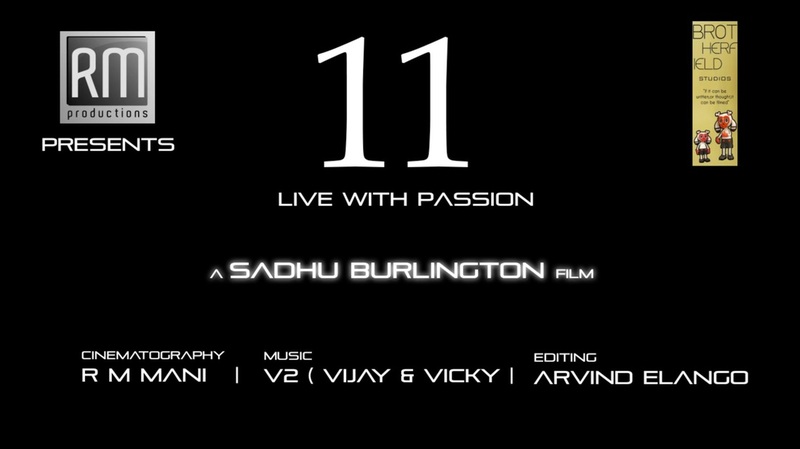 11-Live with Passion (a short film) is been 'carved' currently by Sadhu Burlington who remarked that he is 'super excited' and 'super confident' about the outcome of this project. Popular VJ Anjana has acceded to make her debut as female lead while Kiran Nivas comes as male lead. Being the producer, RM Mani actuated his support financially and the average expense was around thirty thousand. 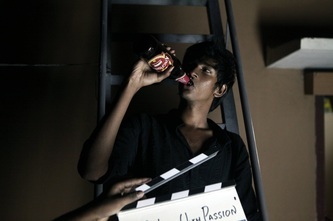 He is even the cinematographer of this short film. Anjana notes her part as ad-libbed while the producer remarks her extremely good acting potential and added that she did her job well. The director stated that someone like Anjana is needed for the character. 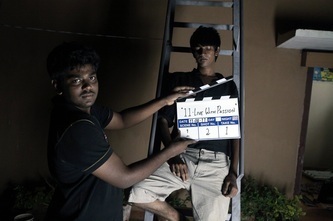 The director unveils the name reason for this project. It is about the 11 members of soccer team and 11 being hero's jersey number. It is said to be a sport drama. 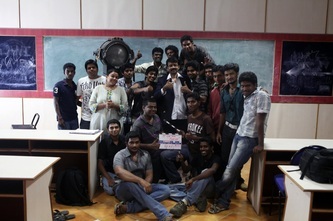 This short film is been canned at SRM University and in & around Chennai.